Hello again, fellow readers! I'm going to make this intro short and sweet this time. I've done some reading for the TBR Pile Reading Challenge, as well as a bit of my own. Here's how I did in February with my reading! So that's my reading progress so far. I've read a total of 6 books so far this year. Like I've said before, that might not seem like much compared to more seasoned book bloggers, but it's a pretty big deal for me. Especially since my work/church schedule has become more hectic. 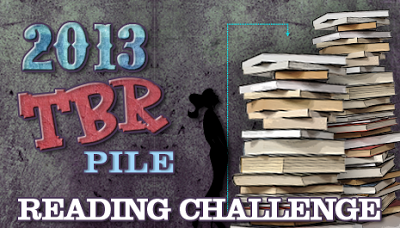 For the TBR Pile Reading Challenge there are also monthly mini-challenges. This month, Rachel at Fiktshun has challenged us to take a quote from one of the books we read this month and make a button out of it. Here's what I came up with! 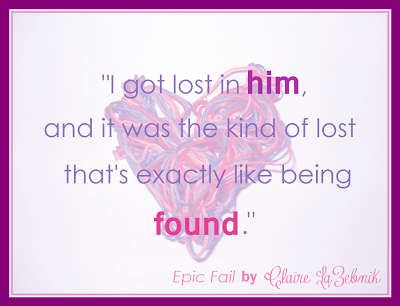 There was another amazing quote from Epic Fail that I had written down, but I lost my note somewhere. I liked this one too, so it's all gravy. These mini-challenges are quite fun! I wonder what the challenge will be for March. I have received my first two review books EVER, so March will see me reading and reviewing those. I also have a book club read that I need to finish by the 27th. I wonder if I'll be able to read them all... eep!